Next month The Showbox will host SWANS on the final tour of their current iteration. How the timing of this development relates to as-yet substantiated accusations, and turmoil in band member's personal lives disclosed on social media is unknown. One thing is certain, having led the towering rock outfit through numerous manifestations over the decades since it's inception, including a brief phase as the orchestral folk ensemble Angels of Light, change and transfiguration have been one of their great constants of Michael Gira's lifelong music endeavor. After the physical endurance-testing rock olympics of 2011 in which Michael Gira's SWANS reformed after a 15 year hiatus, we are blessed with a fourth and final album in this current half-decade of reinvention and metempsychosis. At the end of their previous incarnation with the grandiose heights scaled in "Soundtracks for the Blind" and "Swans are Dead", they took celestial bombast to literally epic durations and dynamic intensity. The post-reform "My Father Will Guide Me Up a Rope in the Sky", the more variegated and nuanced "The Seer", the rapturous "To Be Kind" and this year's "The Glowing Man" scale similar heights of those of decades past. "Michael Gira on ‘Dangling Off the Edge of a Cliff’ for SWANS Epic Final Album" for The Observer maps the musical trajectory's Oroborous-like path back to itself, as SWANS of the 21st Century has birthed a supreme amalgam from it's own DNA. One that encapsulates the totality of their 35 year trajectory from brutalist No Wave minimalism to Musique Concrete and extended tonal and Drone compositions to electric Rock, Psychedelia, Blues, Folk and Americana. The Guardian's John Doran postulates how its come to pass that SWANS have produce the best work of their career so far. Where so many other bands of a similar vintage have retread familiar ground, revisiting the formula of past successes, Gira and company chose to instead stake everything on a fresh roll of the dice. They took a genuine gamble on creating new art rather than trying to recapture past glories and in doing so, they have conjured an, "Enduring Love: Why SWANS are More Vital Now than Ever". 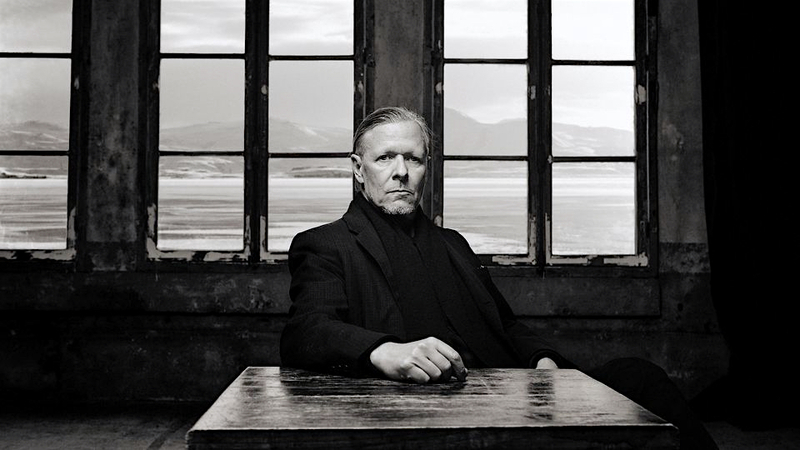 The albums of this decade are the fruit of an extended, ever-evolving recordings process, "A Little Drop of Blood: Michael Gira of SWANS Interviewed" for The Quietus describes the often arduous writing, rehearsal, touring and recording in a dynamic creative systole and diastole. The undertaking of then translating these recorded works to a marathon live experience documented in an interview with Pitchfork of 2014, "Michael Gira Talks about How SWANS Returned without Losing Any Potency". Even more personal and confessional, The Quietus have produced a lengthy interview on the explicitly spiritual, transcendental nature of their live incarnation, "This is My Sermon: Michael Gira of SWANS Speaks". From which Gira is quoted; "I hope there's a spiritual quality, but it's not a denominational kind of thing, it's an aspiration towards some kind of realization, or breathing the air that the spirits breathe, or going somewhere that is bigger than myself when I conceive these songs. It's a great feeling. I think The Stooges had a kind of abandon and release, if you listen to Fun House. But electric guitar music has the ability to do that to people, and it's also like the Master Musicians Of Jajouka, where they just keep going and you lose your mind but find it simultaneously. That's sort of the idea. My personal spiritual beliefs are irrelevant. Music is the practice." And like the albums of their previous iterations in the 1980's and 90s, the live realization of this practice has far exceeded their corresponding recorded works. Gira and company's live performances this decade have watched as almost a ritual of invocation. Bringing with them the visceral and transcendental effect of mind-frying, body-numbing volumes to elevate all.